Runs events, discussion groups, and has office hours. Spectrum UWO : A newer group that aims to create an LGBTQ+ social community on campus. UWO Psychological Services:Professional and confidential services, free of charge, to students needing assistance to meet their personal, social and academic goals. Services include consultation, referral, groups workshops, as well as brief, change-oriented psychotherapy. Pride Library: The Mandate of the Pride Library is to acquire, preserve, organize, and give public access to information and materials by and about lesbians, gay, bisexual, trans and queer communities (LGBTQ). Pride Library is located in the D.B. Weldon Library. Sexuality and Gender Research Group: The Sexuality and Gender Research Group brings together researchers form the Faculty of Arts and Humanities with scholars in other disciplines from around the University to discuss questions of sexuality and gender from a variety of disciplinary, interdisciplinary, and cross-disciplinary perspectives. Every year, the Sexuality and Gender Research Group, in conjunction with the Western Queer Caucus, hosts a number of academic talks and organizes Queer Research Day, a full-day event involving both papers and poster and presentations. Queer Research Day is normally held on the third Wednesday in April. Membership in the Sexuality and Gender Research Group is open to faculty and graduate students. However, all of our events are free and open to all members of the Western community. Trans Care Team: Recognizing the unique needs of gender-diverse students, the Trans Care Team comprises a group of clinicians from Student Health Services and Psychological Services who work together to provide specialized psychological counselling and medical care to students in an LGBTQIA2S+ affirmative environment. 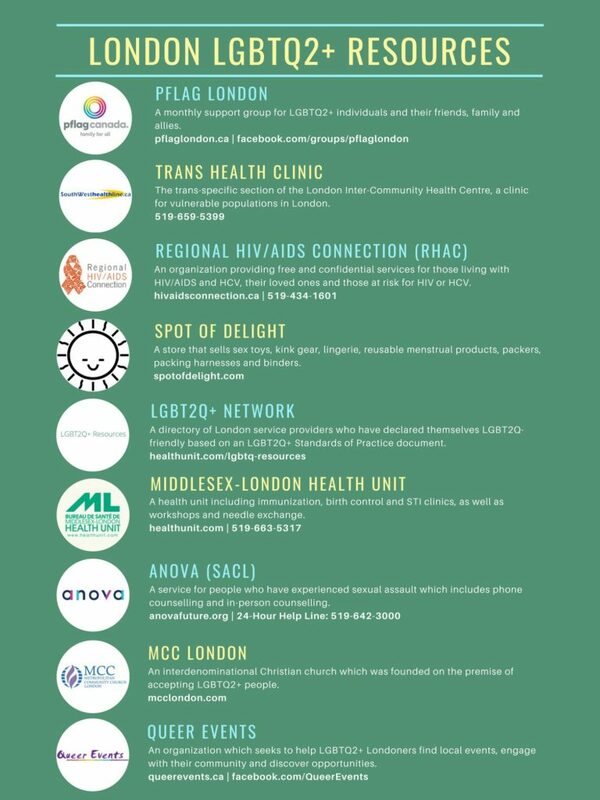 Physicians at Student Health Services have received training from Rainbow Health Ontario in the realm of counselling, hormone prescribing/maintenance, injections, surgical referrals, and post-operative care. We are able to refer to endocrine specialists and/or psychiatrists if there are complex needs beyond the scope of our primary care providers. Clinicians at Psychological services offer both individual counselling as well as the UniQ Support group that runs each semester. The Queer Caucus was founded in 2007 as a group for lesbian, gay, bisexual, transgender, transsexual, two-spirited, questioning, and queer faculty and graduate students and their allies, as well as for people engaged in various forms of queer academic work. The caucus links people across faculties, schools, and departments and is intended to help forge community, facilitate academic alliances, promote scholarship, provide a venue for activism, and encourage discussions and practices of diverse forms of queer pedagogy. Alphabet Community Centre | Call or text at (519) 765-5000: Facilitates weekly support groups for trans and questioning youth (ages 12-20), medical/legal accompaniments, social service referrals, employment programs. Forest City Queerios: A social group for LGBTQ+ identified people. Events range from pub nights, dinners, board game nights, festivals in the park, movie nights, and more. Spot of Delight: A source for gender identity products and inclusive sexual health workshops. Located at 426 Richmond Street in downtown London. PFLAG: PFLAG Canada is a national charitable organization, founded by parents who wished to help themselves and their family members understand and accept their non- heterosexual children. The “coming-out” process can be a critical time for families. When the adjustment period is particularly long or painful, relationships can become permanently damaged, resulting in a lifetime of emotional scars. People cannot always rise above the challenge of accepting themselves or their family member, and the results can be devastating, even fatal. We support these families through today, and give them hope for a better tomorrow. Contact us at 1 (888) 530-6777 ext. 224 or on our website.